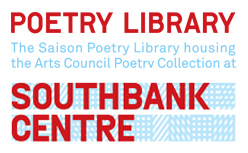 If you have published a collection of poetry, the Poetry Library (based at London’s Southbank Centre) will consider stocking your work (including books from small presses and self-published titles). • The librarians meet once a month to consider self-published and small press items for the collection and will always respond to those who submitted something for consideration”. To find out more about the Poetry Library or to contact them please visit, http://www.poetrylibrary.org.uk/about/. This entry was posted in books, creative writing, literary magazines, literature, newauthoronline, poetry, sharing your work, uncategorised and tagged k morris poet, kevin morris poet, librarians, newauthoronline, poems, poets, reading, self-publishing, The poetry library, the southbank centre on July 16, 2017 by K Morris Poet.